Surf the Wave (2017-2020) is the major project led by Pavilion Dance South West (PDSW), on behalf of the National Dance Network (NDN) and supported by DanceXchange, South East Dance, The Place and Yorkshire Dance. Surf the Wave core costs are supported by Arts Council England’s Ambition for Excellence fund, Jerwood Charitable Foundation and the Esmée Fairbairn Foundation. Surf the Wave is an ambitious programme to create a step change in how the UK showcases dance and extends and strengthens tours for artists and companies. Surf the Wave began with an eighteen-month programme (October 2017 to May 2019) of talent development and artist support involving artists, producers and promoters (including those new to dance) around the country. In 2019 there will be the UK Dance Showcase which will run from 16-19 May and will take place in Bournemouth and Poole, and will focus on UK promoters and touring dance for the small-mid-scale in different contexts such as outdoors, libraries and museums. “This is such an important moment, not just for the dance economy in the UK but for the development of dance artists in this country. Through this platform, many artists and companies will get the chance to tour to venues and perform to audiences who would not normally get the opportunity to see them. This is a real step forward for the industry”. This Showcase is replacing British Dance Edition which had an international focus. This shift in focus is designed to strengthen the UK dance economy, extend UK touring for more companies and nurture more promoters to programme dance. After the Showcase, there will be a year’s programme of touring and development support to help realize tour bookings and strengthen artist/promoter relationships stemming from the Showcase. The newly selected Curatorial Committee (photographed above) will be chaired by Eckhard Thiemann, who brings with him a legacy of experience in the curation of dance showcases. This committee will review all of the work submitted through the open call out and support the final decision on the work that will be performed at the showcase. 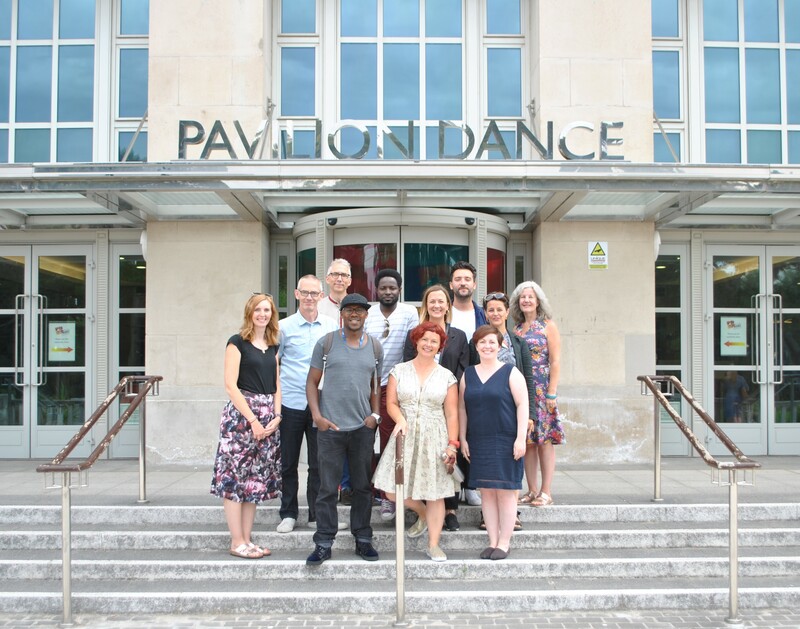 Nottingham based Dance4 are leading on ensuring UK dance is promoted to presenters internationally and will ensure that the UK Dance Showcase dovetails with their work.